The Black Sea Journal of Sciences is an international peer reviewed journal published biannualy and indexed by international databases. 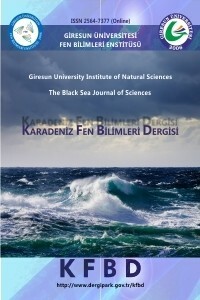 The Black Sea Journal of Sciences started its publication life in 2010. Our journal accepts works from science, engineering and technology. Articles submitted for publications in our journal are evaluated by the editor, editorial board and referees (Blind peer review). Our journal accepts original research articles written in Turkish or English. There are no evaluation fees or application fees for articles sent to our journal. Starting in 2017, The Black Sea Journal of Sciences will be published electronically only. The Black Sea Journal of Sciences is indexed by the following databases.